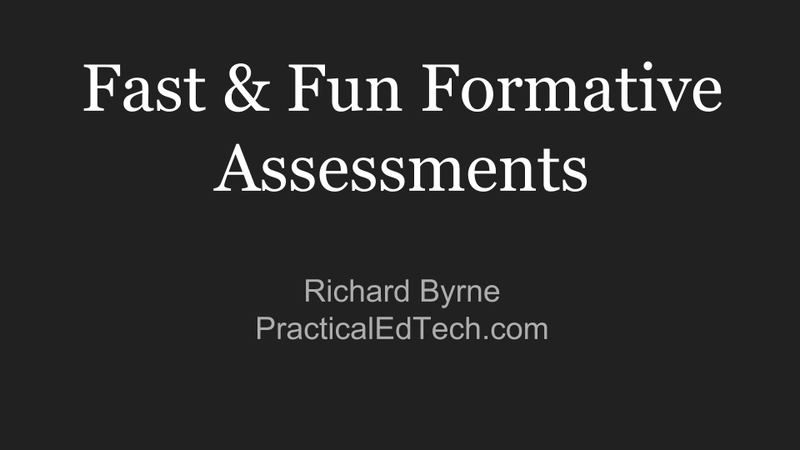 I ended my day today at the 2019 MACUL Conference by giving a favorite presentation of mine, Fast & Formative Assessment. I always giving this presentation and, based on the level of audience participation, people who come to it enjoy it too. It's intended to provide attendees with ideas for fun assessment strategies and some hands-on experience with the tools. The slides alone don't provide the full experience, but you can get a sense of it by scrolling through my slides that are embedded below.